Ten years ago, very few large law firms needed external legal advice on dealing with their regulator. This was because the Solicitors Regulation Authority (SRA) would normally only take action against an individual within a firm rather than the firm itself. 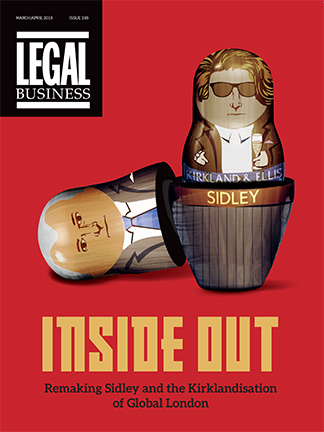 Since then, the SRA has increasingly used its powers to regulate entities and shown a much greater interest in how law firms are run. With that has come the era of big fines for firms that have breached the SRA’s Handbook. The risks and exposures facing law firms have dramatically changed over the last decade. 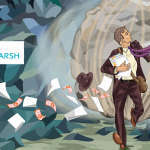 The legal industry now faces a significantly more complex risk landscape and one that will continue to evolve as technology transforms the way firms operate.The risks and exposures facing law firms have dramatically changed over the last decade. The legal industry now faces a significantly more complex risk landscape and one that will continue to evolve as technology transforms the way firms operate. That is certainly the view of Sarah Clover, partner in Clyde & Co’s specialist lawyers’ liability practice. She believes that while the risk landscape is already more complex than ten years ago, new products and services will shape and test the boundaries of liability, and law firm’s regulatory and ethical obligations. 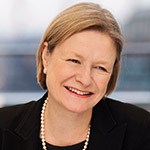 Clover says: ‘Working alongside our clients to identify the current and future threats facing their organisations, it is apparent that law firms continue to face pressure from consolidation, globalisation, increased regulation and ethical dilemmas, but in the near future this list will continue to grow rapidly. Clyde & Co’s specialist lawyers’ liability practice has defended the interests of law firms for over 40 years. 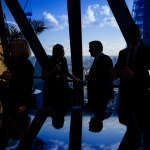 The team has in it a large number of solicitors whose practices are dedicated to lawyers’ liability and regulatory work. Firms will be familiar with the work of partners such as Richard Harrison, Andrew Blair, Fergal Cathie, Neil Jamieson, James Preece, Tony Nurse-Marsh, Clive Brett, Tom White and Helen Rowlands. The current team’s roots stem from lawyers’ professional liability, their predecessors having drafted the first solicitors’ professional liability policy in 1928 and devised the first professional liability insurance scheme for solicitors in the mid-1970s. The Football League v Edge Ellison  EWHC 1462 (Ch), led by Clover, which looked at the boundary between legal and commercial advice. 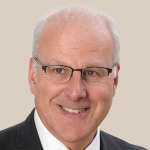 Paragon Finance plc v Freshfields  EWCA Civ 955, led by former Barlow Lyde & Gilbert senior partner Richard Dedman, which concerned the extent of the implied waiver of privilege by a client suing his solicitor. More recently, Solicitors Regulation Authority v Leigh Day & ors  EWHC 2726, led by Fergal Cathie, was the most high-profile and longest-running disciplinary prosecution ever brought by the Solicitors Regulation Authority. Although the team has acted for over 40 of the top 50 law firms over many years, they will not descend into specifics, client confidentiality and discretion being of paramount importance to them. Globalised civil exposures: The threat of civil claims is nothing new, but law firms are increasingly facing claims of greater severity and complexity. As firms operate in a more globalised marketplace, a growing number of liability claims traverse jurisdictional boundaries. Law firms must also grapple with a changing litigation environment, not least the growing prevalence of litigation funders who view professional liability claims as an attractive hunting ground. Regulatory exposures: These represent perhaps the biggest shift in the last decade. The threat of regulatory investigation and enforcement is now as high as that in respect of civil claims. Indeed, civil and regulatory claims can feed off one another, with firms often facing parallel proceedings, which throw up a myriad of issues. Firms must now also navigate ever-more burdensome regulatory self-reporting obligations and an increasingly politicised atmosphere. In recent years this has led individuals at large firms to be brought before parliamentary committees in the full glare of the media spotlight and often without the procedural safeguards that a more formal regulatory process would entail. Criminal exposures: Broadening criminal liability regimes, particularly in the tax sphere, have the potential to snag law firms. In line with other professional advisers, there is also concern about getting embroiled in criminal investigations brought against a law firm’s clients. Data issues: Data breach issues are a core risk for all organisations and law firms are no exception. Firms must ensure they have the systems and controls in place to manage the risks posed by the introduction of the GDPR regime as well as the changing modus operandi of increasingly sophisticated cyber criminals. As recent history has shown, a significant data breach has the potential to destroy a firm. In line with the increasingly global nature of exposures, Clyde & Co’s specialist lawyers’ liability team now boasts the largest global professional liability practice, and regularly acts in international and cross-border claims for global law firms. Recognising that law firms face a broad range of exposures and challenges, Clyde & Co has developed a reputation as ‘the professional’s professional’, handling, in addition to civil claims, disciplinary and regulatory issues, a long list of other advisory work for professional services firms, including employment, bribery and sanctions, partnership and other corporate structures, as well as commercial and intellectual property advice. It has also built up a leading practice advising on the structuring of insurance and reinsurance arrangements for global professional service networks. ‘Our close-knit team works in tandem to draw on each other’s expertise and ensure our clients are equipped to face the evolving risk landscape that continues to threaten the operations of the world’s leading law firms,’ concludes Clover. Sarah Clover has been a partner at Clyde & Co since 1992. She has specialised in lawyers’ professional liability for 30 years and advised on a wide range of professional liability claims against lawyers, including claims involving corporate finance, tax, pensions, commercial and residential property, litigation and commercial contract. She also advises clients on regulatory and disciplinary issues, risk management and policy coverage. Sarah has a wealth of experience in mediation and other forms of alternative dispute resolution. 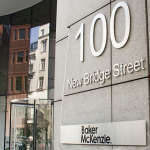 An under-wraps independent review of Baker McKenzie’s approach to a sexual misconduct incident six years ago has concluded there were ‘a number of shortcomings’ but details are scarce. Meanwhile Mark Hastings, the disputes partner sacked by Quinn Emanuel Urquhart & Sullivan earlier this year following ‘inappropriate behaviour’, has emerged at Mayfair boutique Grosvenor Law. 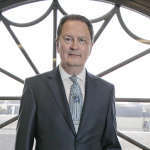 After an eminent career in later years dominated by picking up the pieces of the post-Lehman world, former Slaughter and May corporate veteran Charles Randell has been appointed chair of the Financial Conduct Authority (FCA).